Click the button below to add the Ginger Marmalade to your wish list. 177ML VERSION. 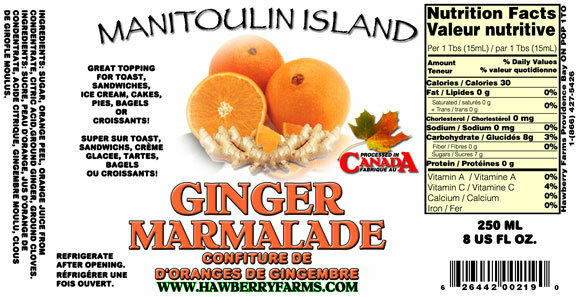 LABEL UPDATED SOON.Great topping for toast, sandwiches, ice cream, cakes, pies, bagels or croissants! Ingredients: sugar, orange peel, orange juice from concentrate, citric acid, ground ginger, ground cloves. I am really enjoying this marmalade thanks to the ginger. It takes away the "syrupy" and bitterness tastes of usual marmalades and makes it just nice.